Well, it's a great opening shot that gives off the look of banana bread (well, a light colored banana bread anyway). The weird thing for me is the smell. Yes, the smell. Someone tried telling me ice cream doesn't have a smell. Granted you have to stick your nose right up to the container, but there is definitely something there.... but I can't put my finger on it.... but it does scare me a little. I take my first bite and yeah, and while the banana flavor is fairly mild, this is totally out of my wheelhouse. Even with the smallest scoops, I'm getting a bit of the swirl. I swear I can taste the lime on the first few bites, but then it seems to fade. I'm not sure I taste the rum in general, it's more blending in with the other flavors. Hmmm, let's try a bunch of swirl. Nope, scooping the swirl didn't help. For the most part the swirl is very thin and is just trying to accentuate instead of dominate. Hmmmm, I think there might be just a little rum burn on the very end, but that's only because I stopped long enough to notice. How about this, it's not like any other banana ice cream you've ever had. Up until now, companies have gone with straight banana flavoring. This is not that flavor, nor is one bite going to be banana and the next lime, it's fairly consistent... wait, that's not 100% true, let me recap. Ok, one, this is obviously a quality product, HD always is. Two, there is a strangeness on the first (and maybe second) bite, but after that, you settle in to the flavor and it seems a bit more familiar. If you pause for too long between bites, a bit of that initial shock comes back. Does that make sense? It's not meant to be a slight, more of an observation of how it takes time to settle in to a more complex flavor like this one is. Alright, that's all I really got. For people who love banana or people who love stuff way outside the box, yeah, they are going to pick this one up. However, will they pick it up again? And exactly how many people fall in to that category? Not to be a pessimist but I just don't see this having staying power. Please feel free to disagree in the comments, I really am curious how big the fan base could be on this one. Sorry Dubba but I love this flavor! It's one of the few pints I ate in one sitting it was so good! I totally get that initial smell and taste you speak of which to me is pureed banana baby food. I love rum so I didn't notice any after taste or burn. I would definately but it again and I look forward to trying the other Artisan flavors. 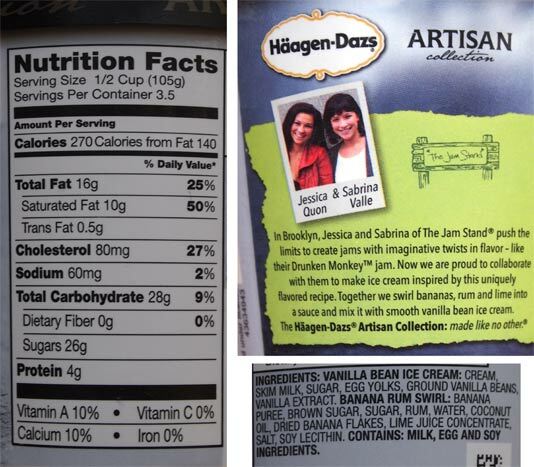 HD is my #1 favorite premium ice cream, the quality and smoothness is perfect! i'm sorry, but lime with banana sounds awful. Im in love with this one! im not a huge banana fan, but I do have a compulsion to try every new flavor, always. Im already on my 3rd repurchase. I havent cracked the 3rd pint open yet. Im trying to hold out, because I will eat it in one sitting. And I dont normally eat more than 1/3 to 1/2 at once! 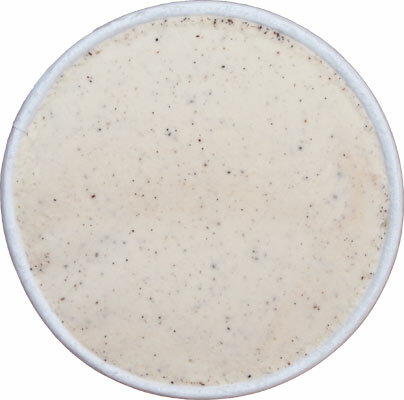 Who has a good, straight-up banana flavor ice cream? I've been craving banana ice cream forever but no one has any. 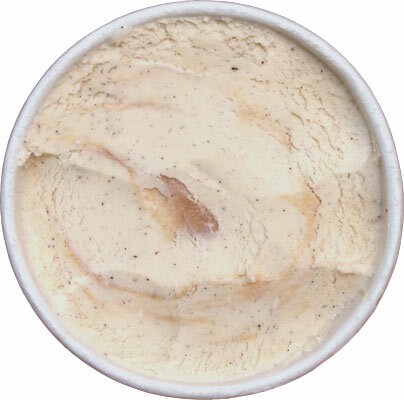 Their Banana Foster flavor from a few years back was the best commercial banana ice cream I've had. This one was just ok. I served this over pound cake with some crumbled bacon on top. It was heaven. I've tried this and this is very similar to a banana daiquiri drink but in ice cream form. If you like that drink, you'll like this ice cream. While I like the drink, I'm not too crazy about lime in ice cream, so I didn't like the ice cream as much. However, the texture was fantastic and I didn't notice any smell. How is this strange? It just tastes intensely of banana. And how are you claiming that ice cream has an odor when you admit you literally have to stick your nose right above it to detect anything? Who does that? This review is strange. Bananas and lime are elements of a classic frozen rum drink, they're not an "exotic" flavor combination by any means. @Anon: name me another banana and lime ice cream flavor? No? Well, that's why it's "exotic". Also, if someone puts a hot plate of food in front of you, do you ever take a moment to just enjoy the aroma that's coming off the food? Taking a whiff of ice cream is the same idea, it's just part of the review process, part of the fun, don't take it so negatively. Wipe this ice cream is amazing! ! My mom and i keep asking our local store to double their order or sobering as they sell out so fast of this particular flavor. We literally go through 8-10 pints a week and we came across this thread searching for a way to buy larger quantities. ..i know it's kinda crazy. I wish i could be hooked on celery or something with a lot less fat and calories though and i totally get the smell thing...it did sound weird at first but i thought about it and it makes sense for a few reasons 1. Because smell and taste are so tightly linked like have you ever heard someone say "it smelled so bad i could taste it" Or "it smelled so good it made my mouth water"? 2. It is proverb by using all of our senses to enjoy something we will get more gratification out of it, it's called mindful eating (yup so popular it actually has a name) and 3. Your sense of smell gives you a heads up of what your going to expect and for some people it's very customary almost like a ritual to smell absolutely everything they put in their mouth or concider eating. ..i hope that helps people understand why you smelled it i forgot to add that is also very professional to smell it, as you said it's part of the process. I saw a show on discovery once about ice cream and they showed HDs testing lab abs the taste tasters cut the point in half to make sure it's consistent ask the way through, and they use a gold spoon to eat it as gold leaves less of an after tasteor any taste for that matter and then the rest kinda reminded me of wine tasting. ..they would put it in there mouth let it melt work it around and spit it out but i think that's just cuz they would put on A LOT of weight of they didn't. ..so i hope that this helps people understand why you smelled it seems you smelling the ice cream caught more attention than the actual review of the ice cream that people came here to read. .. Here we are in April 2916. This flavor just showed up at GROCERY OUTLET stores in Southern California. It was packaged in a 3 pack of artisan flavors. I Googled and came across your review and comments. I think it is pretty tasty but no where as good as rum raisin. I was surprised that no one mentioned the packaging. The picture totally looked like 2 plump scallops and a slice of lime sitting in a sauce of some sort. Picture perfect if you are selling scallops ... Not so great when you are promoting ice cream. 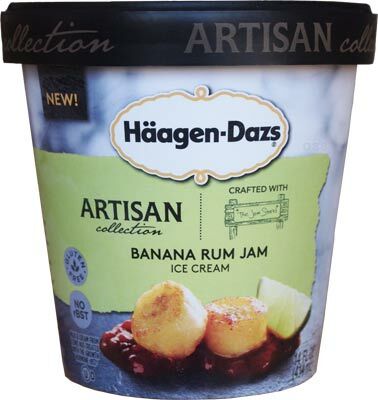 During my visit to the US (I live in Holland) in 2015 I bought the Haagen Dazs Banana Rum ice cream and liked it very much. Visiting again I was looking forward to eat it again but to my regret I discovered this flavor has been retired. I never saw it in a Dutch supermarket where the choice regarding ice cream is much smaller than in the US.